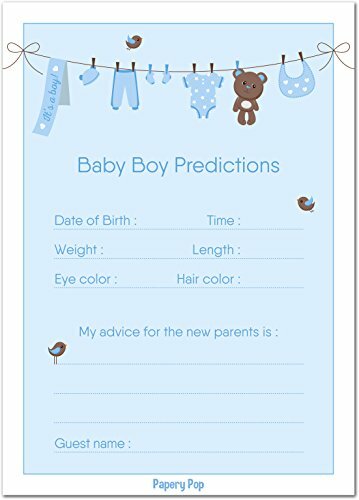 These baby shower predictions and advice cards are printed on deluxe card stock paper and can be written on in either pencil or pen without smearing. They measure 5 x 7 inches and are printed on one side to allow additional writing room on the back. The set includes 30 identical baby shower prediction cards, which means they can be used at large events. 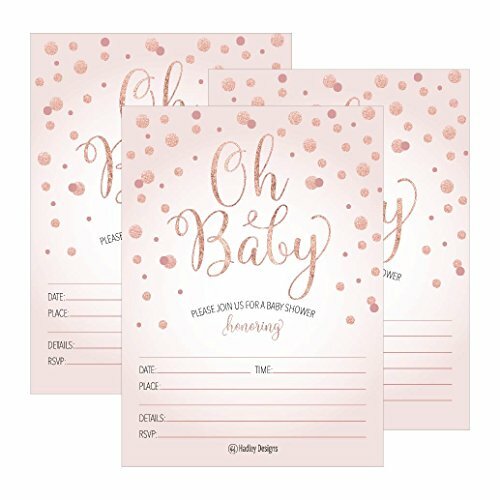 Have your guests help you commemorate your wonderful baby shower with these gorgeous predictions and advice cards for the mom-to-be. The cards come securely packaged to ensure that you receive them in perfect condition. Copyrighted design registered by Papery Pop. 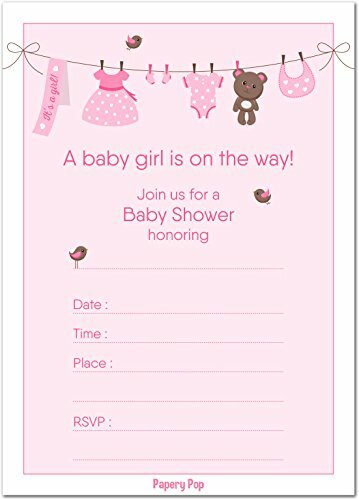 These high quality baby shower invitations for girls are printed on heavyweight matte card stock paper and come with mailing envelopes made out of superior paper. The invitations are post card style (non-folding) and come in an adorable classic design that your guests will absolutely love. There are 30 cards in total with 30 accompanying white envelopes all measuring 5×7 inches (A7 format). 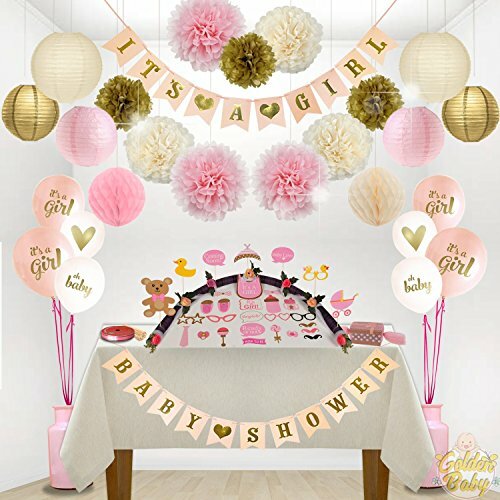 The baby girl shower invitations are single-sided and can be written on with pencil or pen without smearing. Not only do they come in rich vibrant colors but they are thick, making them more durable! Copyrighted design registered by Papery Pop. 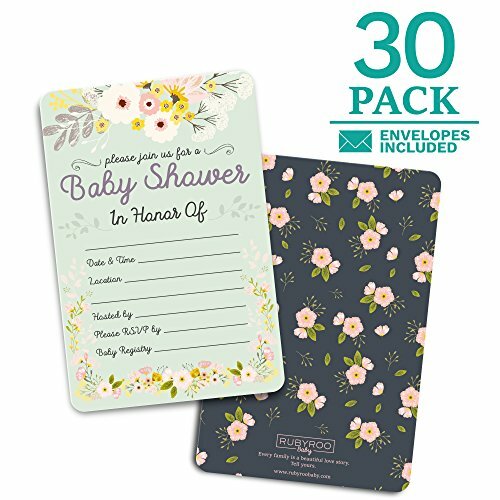 These high quality baby shower invitations for boys are printed on heavyweight matte card stock paper and come with mailing envelopes made out of superior paper. 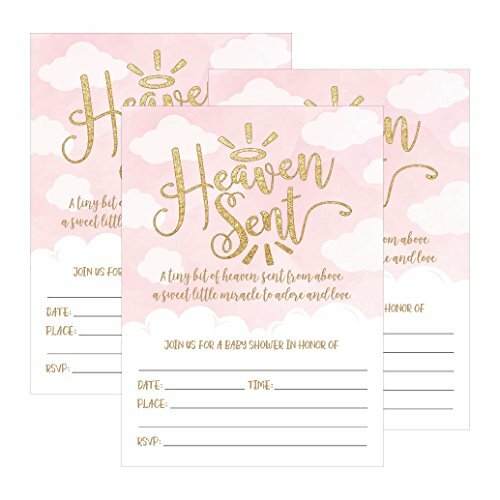 The invitations are post card style (non-folding) and come in an adorable classic design that your guests will absolutely love. There are 30 cards in total with 30 accompanying white envelopes all measuring 5×7 inches (A7 format). 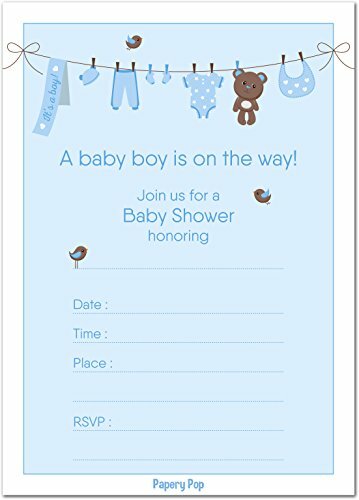 The baby boy shower invitations are single-sided and can be written on with pencil or pen without smearing. Not only do they come in rich vibrant colors but they are thick, making them more durable! Copyrighted design registered by Papery Pop. 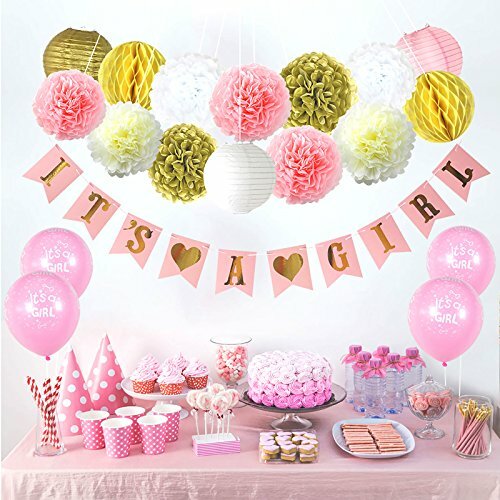 Pinterest DIY Baby Shower Party Ideas (Tutorial) | Decorations and More! !